The astrological sign Scorpio has seven symbols. Of all the signs of the zodiac, Scorpio is the only one that has seven symbols. I guess that explains why Scorpio is called the "sign of extremes" and why people born under the sign are all so different from one another. While the basic traits of a Scorpio always remain the same, most of them seem to evolve through the different symbols. Scorpio is the toughest sign of the zodiac. Unlike the Mars-ruled Aries, who will confront someone and go toe-to-toe with him or her in order to settle a disagreement, Scorpios will wait (for years if need be) until their prey is in a vulnerable position and use the element of surprise when confronting the enemy. 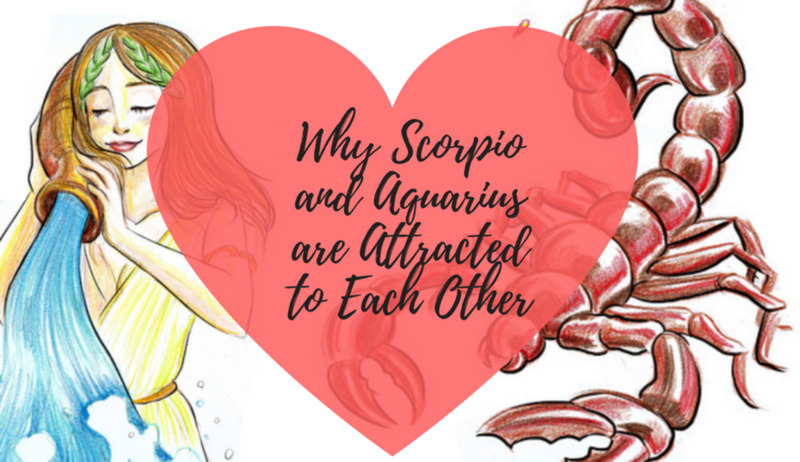 However, Scorpios are also loving, sensitive, patient, protective, and loyal toward their loved ones. Scorpios are great friends to have, for they are secretive and can keep secrets well; but never make enemies with one. 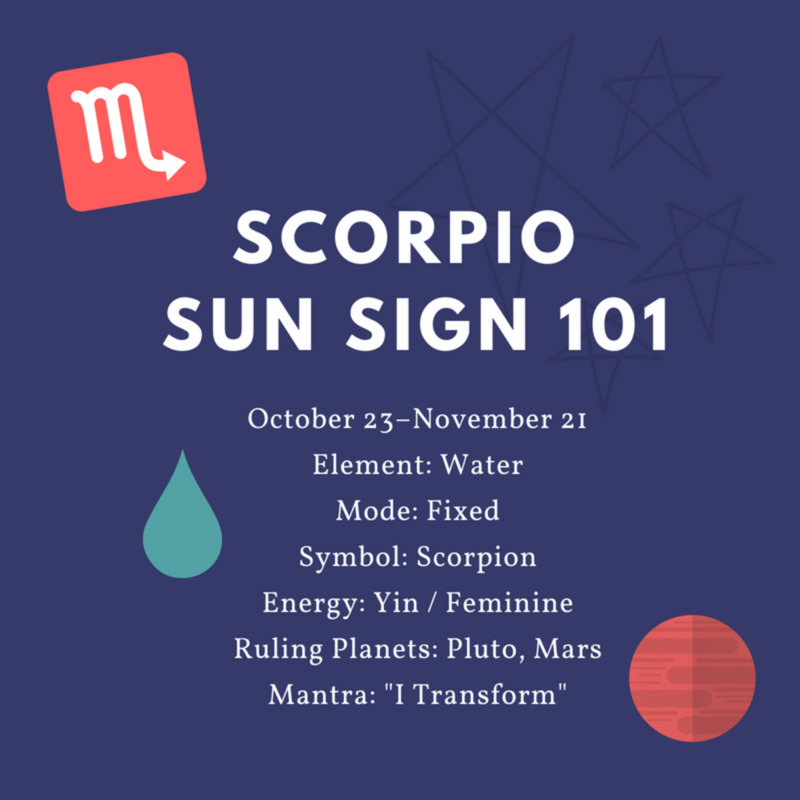 In addition to multiple symbols, Scorpio also has two ruling planets instead of just one. Mars is Scorpio’s ancient planetary ruler, and Pluto (which is deemed no longer a planet) is the modern-day ruler. Mars represents war, anger, passion, action, activity, and masculinity. Pluto represents life, death, and regeneration. The connotations of this so-called planet are what really explain the scorpion evolution—as Scorpios transform through each symbol, they leave the old symbols behind to die and begin anew with the next symbols. The spider, associated with selfishness, is the least evolved Scorpio symbol. The spider is the lowest on the evolutionary scale. Most spiders are children, some spoiled and some downright mean. Many Scorpios skip over this symbol depending on their upbringing and environment. In other words, parents can stop this symbol from emerging. Unfortunately, some adults never evolve past this symbol and still act with a spider's mean, self-centered nature. The scorpion is the most well-known Scorpio sign. This symbol can show jealousy. 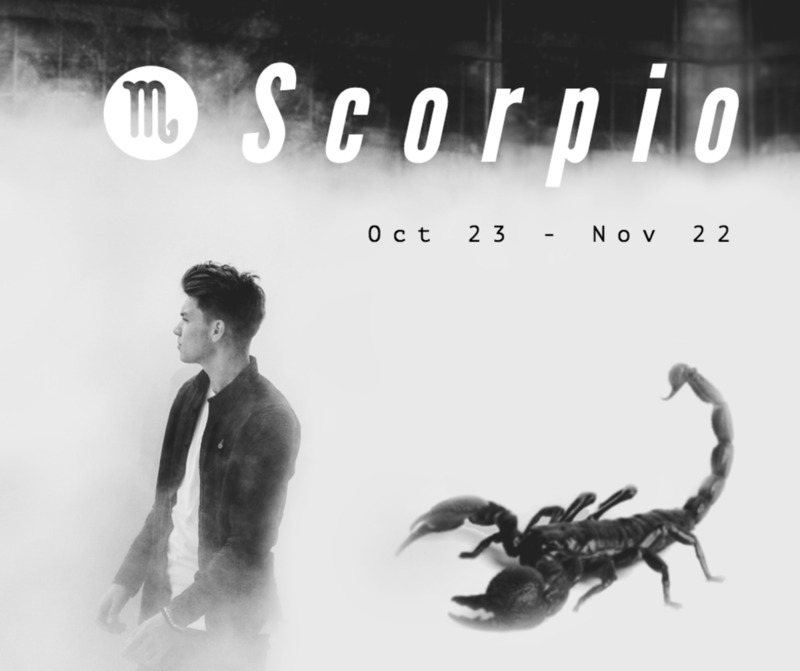 The scorpion is the well-known symbol of a Scorpio, primarily because of the constellation and, obviously, the name. The scorpion is still quite a bit immature when it comes to dealing with other people. 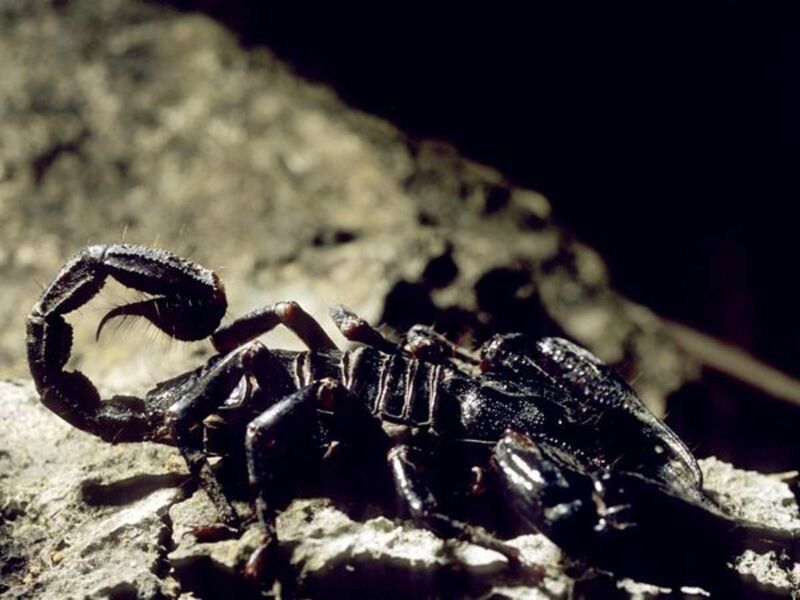 Scorpions throw temper tantrums and show abundant jealousy. However, once again, some Scorpios may skip over this symbol, depending on their upbringing and environment. A lizard maintains all of a Scorpio's key personality traits, but displays them in a calmer and more mature manner. The lizard is a bit more relaxed in demeanor. This symbol recognizes a little humility and has a tendency to watch and learn instead of reacting. This is the stage in which Scorpios are fond of revenge. I would call this the pre-teen Scorpio—somewhat matured, but not as fully developed as the symbols to come. The serpent is a more powerful version of a Scorpio than the lizard. The serpent, although extremely dangerous, will move away from a situation unless it or its loved ones are being threatened. If it is threatened, watch out! It will strike back, and it will strike back hard and fiercely. It's common sense not to play with a snake, isn’t it? A snake behaves much like the Lizard but with venom. Teenage Scorpios tend to be serpents, although adults who have not evolved past this symbol can also show these characteristics. As a wolf, a Scorpio will focus on protecting family and loved ones. The wolf is strong, wise, and protective of its home and family. It makes a nice, comfortable home for its loved ones. If left alone, harmony will ensue. However, if the wolf’s habitat or loved ones are threatened or harmed, a surprisingly quick attack will take place, leaving someone lifeless. Many young adults fit into this category of the symbols. These characteristics generally coincide with a time in life in which one leaves the nest and starts off anew. It is important for wolves to become aware of prioritizing their responsibilities and choosing battles wisely. As an eagle, a Scorpio gains perspective on life—in the long term, people will reap what they sow. The eagle represents the more mature Scorpio. The eagle soars above all others, watching and learning. As an eagle, the Scorpio is becoming more of a spiritual being, trusting God to handle its affairs of revenge. Eagles are, of course, still quite protective of their young; this protectiveness is primarily felt when their children are young and lessens as they grow up. The eagle raises its young to be strong and self sufficient, once again trusting in God to lead the children down the right path of life. Often, Scorpio evolve into this symbol by mid life. The phoenix is the ultimate maturation of a Scorpio. The phoenix is the ultimate goal as a Scorpio. The mythical phoenix is destroyed and rises above its own ashes (another Pluto trait). Life is hard. A Scorpio knows how hard life can be. 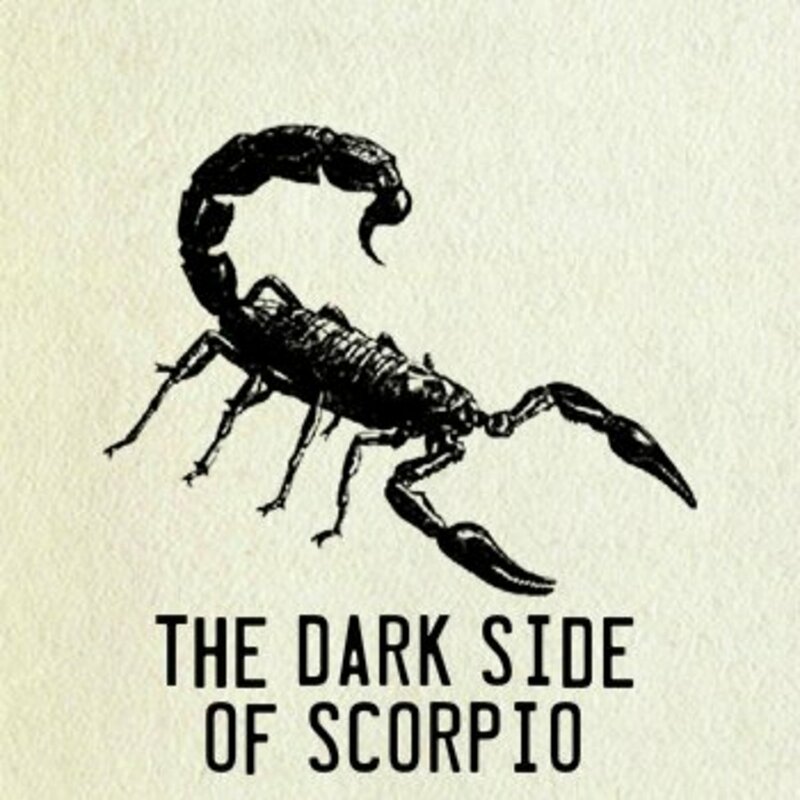 But when a Scorpio reaches the symbol of the phoenix, he or she has achieved a mature, stable, and comfortable life in the face of difficulties. Knowing they can survive anything, Scorpios at this point don’t bog themselves down with petty arguments and plots of revenge. The phoenix has risen above all that nonsense, adopting a “live and let live” attitude, and once again, trusting God to handle affairs of revenge and violence. The phoenix is the most peaceful of the Scorpio symbols. The older Scorpio has usually achieved this based on all of life’s lessons. Dare, if you must, to dabble in a challenge to get a Scorpio woman to fall in love with you. This is one extraordinary woman. How well do you know your Scorpio man? Read this hub to find out more about him. Thank you for your interest in my writing. Please feel free to leave a comment. Which Symbol Does Your Scorpio Represent? If you are a Scorpio, or you know one, which symbol best describes the Scorpio right now? Why Do Scorpio Men Withdraw and Seem Distant? Is it weird that Im supposedly an eagle at age 15? At retirement, I've been a Phoenix for many many years, but like others have commented, I have held on to many of the traits of the younger years and stages of being a Scorpio. I simply think of those traits as evolutionary tools to be used as needed when the occasion may arise! You don't discard tools just because they're not needed at the moment, instead, you simply learn to carry ALL these traits around with the knowledge they may or may not be needed at any given instant. This, I believe, is what makes a mature Scorpio, the Phoenix, what it truly is, and what makes others "see" a Scorpio as so mysterious. They usually don't understand that it's the nature of the Scorpio to mask those traits once understood, learned, and mastered. You're reading this, obviously, because you too are a Scorpio, so take the wisdom of these words and discover your true self... Scorpio! I'm 21, an Eagle Scorpio. Was a Wolf for the largest chunk of my life so far, and sometimes I do regress. But, what is particularly aggravating- and I do hope that some fellow Scorpios may sympathize- is that I know what I must DO in order to become a Phoenix. But the motivation and the de-facto of moving to that point is most challenging. I'm confused sometimes I feel as those I have a little bit of all them in me. At 25 years old, I'm an eagle!!! They say that: "The eagle represents the more mature Scorpio. The eagle soars above all others, watching and learning.". It's totally right and it's magnificent to be an eagle!!! You feel your power, you spent so much time to learn and watch, to watch and learn, and as every transformation Scorpio goes through, from the ashes of the wolf the eagle was born!! A suprisingly high number of phoenix's this leads me to believe a lot of people aren't being as critical as they could be? For the comments of Scorpio being narcissists; these people are obviously not Scorpios, do not understand Scorpios and can't understand the concept of "evolving". I find Narcissism in all signs, NPD is one of those "nature v. nurture" disorders along with your birth sign. Virgos, Cancer, Saggitarius and some Aquarians are highly prone to Narcissism. Remember, there are different degrees of narcissism. Many Scorpios do not outright think themselves superior, they will not approach you and force you to acknowledge they are right; this only occurs when they are wronged or attacked. This is why people think they are narcissists, they can't handle being put in their place, truth or a person standing up for him/herself. That is not narcissism, it is a defense mechanism. As explained in this article, Scorpio is an evolving sign. We go through phases and for those who have learned from our past mistakes are not the same people we were in teens, 20's, 30's, etc. This is one reason why people who judge us on our past are completely ignored and seem to ignorant to even be bothered with in our lives. They can't see what we have become and the accomplishments we have made. In the end, when a Scorpio reach the status of Phoenix, he starts to see that most people struggle because they are in fight with themselves. Being a Phoenix means to reach Nirvana. The status where everything flows over you but inside you can only have a deep state of happiness. Does this still apply if you have your Moon in Scorpio? I'm an Aquarius Sun, but I feel like deep down inside i'm a Scorpio at heart. And this is because I have a Scorpio Moon, plus I have my sun in the 8th house. So does this evolution of the sign of Scorpio still apply to Lunar Scorpios? I'm still a wolf since when I'm alone, harmony will ensue but I'm also a Phoenix.. I give up to revenge, I could make pain to others but I stopped myself and I allow others to punch me in the face.. The strong people are those who don't care of much evil they have thrown to them but they keep shining, no matter what.. And the last step to be a Phoenix, it's family.. I'm learning to stay with children, to make them happy, to show them love, to play with them.. And if harmony is inside me, when I'm alone, I can bring harmony to others. How hard but also how wonderful is to be a Scorpio?? Where can I find the evolutions of the other signs? Having been bought up in a torturous childhood and being subjected to many forms of abuse, even the unthinkable, I developed my disecting trait as a scorpio of ripping situations and observations and experiences apart and shuffling the information into logical form and filing each bit into boxes and patterns. I perfected my reading of people and of agendas and built a wall around my heart. I vowed I would never be like the multiple signs of my family and would be the best I could be at all times. I would rise above disgust, rise above anger and spite, I would be friends with karma and we would go hand in hand through life. I have no need to waste my energy on unworthy people. To be driven to be anything but a phoenix is to be driven by emotion and ultimately controlled by an abuser. I am in control, I can't be read and am a master of subterfuge, I see all, hear all and say nothing, I have been this way since I was a small child, nobody will draw me into the other animals, my twin has never progressed from a spider, I rise above all that is thrown at me in life and I am proud of who I am, my skills I have developed and the goodness for others I live by. I watched the movie and played the game Tomb Raider. I think Lara Croft is a scorpio. In my life, I started as a spider, I was a spider, all that self-centered energy was making me the worse of myself, I needed to die and born again to be a Scorpio, too much jealously and too much wanting to have success against other, I needed to die and born again, I was 19 and I left my parents house to be a lizard and I don't know why but when I go back to my parents house, I tend to be again a lizard because I force myself to be immature, to not be a man so I chose to be a man, to be a Serpent but I discovered that venom makes people die, so I needed to die and born again, I'm finally a wolf. When I'm alone, harmony will ensue, this is the time when you find the best relationship with yourself. Next step is having the best relationship with others and empower others, the greatest success is making others succeed and leave to humanity judge you.. This is an eagle.. When a Scorpio is harmless, be ready to empower others, to make others judge him, to keep himself strong on his life path of healing and spreading peace the world, this is the best Scorpio, the Phoenix.. We're really wonderful creature if we want to be more than a Spider. Good luck to all the Scorpios of this world..
does this article apply even if you have a Scorpio rising? Im an Aquarius Sun with a Pisces Moon, and the whole transformational stages and personality traits of Scorpio definitely apply to me. I have just recently transitioned to Eagle. I never understood how my ex & I could both be Scorpios, but so extremely different. I now know it's because he never got past spider stage. This explains SO much. I find this funny because two of my other zodiac signs (Native American and Celtic) Snake and Wolf are stages of the Scorpio. Thanks so much for your article. Like many others have said, I had also only heard of the 3 symbols - Scorpion, Eagle and Phoenix. But this really describes each stage of my life so far. The main ones that I identified with from your article were obviously Scorpion... I feel I was in this stage from about 16-22, the snake from 23-25, the wolf 26-28 and the Eagle from 29 to now (just turned 30). Over the last year I have definitely become more spiritual and have started following the path I have always been drawn too. The esoteric path. I have grown up fairly quickly too and have always been more mature for my age. I just wanted to add, I believe we as Scorpio become the Phoenix at multiple points in our life. We suffer much heartache and many trials as Scorpios. I feel that when we are about to evolve to our next symbol in life, we destroy certain aspects of ourselves and are reborn (like the Phoenix) into our new stage of life. For example, I used to be a very jealous, very angry Scorpio, but when it was time for me to evolve into my next stage of life, I outgrew all of those traits, as if part of me died and a new part was reborn. Sure I can still can angry some times, but it isn’t the same, hate filled anger that used to consume me anymore. I get angry about something, and within 5 minutes, I’ve gotten over it and am busy doing something else. I might be biased here, but I really feel Scorpio is the best sign to be born under. We are powerful, passionate, sexual people who can accomplish whatever we want! I know I sure have accomplished a lot in my time so far and aim to continue accomplishing my goals. Happy Birthday to all us Scorpios for the last month!! As a peaceful kind person all my life and non-reactive in the face of extreme unprovoked nastiness from people born in other star signs, I am puzzled by the above descriptions of Scorpios, the few I've met being generous, funny and thoughtful people. The most evil people I have met are in other star signs and I stay well away from them. Spiders, scorpions, lizards and wolves are beautiful and should not be used to characterize bad people. I have been near this phase since I out grew being a serpent, I have no time to fight petty battles I know are pointless, but I was stuck for a long time wanting to hurt others as the wolf all through my adolescence. I have had the most challenges in that past four years. @013 is my tsunami year. When my control or belief of being in control finally slipped. Im now heading towards the skies, in true phoenix fashion. If I never find all the answers ok, but Im still working on today and everyday as if its my only day. I have plans to bequest much to my children, and see that they need not wait until aged to have anything. This is amazing. I am a scorpio and feel like I'm moving from the serpent into the wolf phase. I can remember feeling all the previous ones too, the spider, lizard, and scorpion. I am 20 years old now, however, and am beginning to piece my life together and erupt into my career. I know that I am starting the wolf phase and I can sense that this is how things will be throughout most of my 20s. I have major long term goals and know that inevitably after my 20s I should hit the eagle stage once I have enough experience. My overarching life goal is to become the pheonix, however, and I feel like at this point in my life I will no longer be focused on career matters and intend to look for spiritual fullfilment and focus the rest of my life on the well being of others. It's crazy how I have such long term goals, and I can kind of sense the trajectory of my life-- I've already had this sense my entire life and it's never been wrong. I've always believed in astrology. But it wasn't until I, as a Scorpio, had a serious relationship with a Gemini that I realized how accurate it was. It's a nice article about Scorpio to understand the development of the personality traits for the self and gives the insight about how to deal with the life and to understand the struggling psyche. Every stage of the development of the person is well described and will help in the understanding of oneself. Is there a way for me to send a question to your inbox which is related to a Scorpio woman? Most interesting. What are the symbols for the other signs? I am very proud that I am a Scorpio!!.. Born October 27, 1990. I've always been told that I was very mature for my young age. After reading this, I'd say that I was at the young stage of the eagle. I feel very proud of myself that I'm at the same stage as someone twice my age should be at as a Scorpio!! I absolutely loved this, amazing job!! ;) I wish you all the best on your journey wherever you might be.. And most importantly, may God bless you ALL!! I'm Scorpio and I love it. I believe one constantly moves through the stages you describe. One (or I) can easily go from spider to Phoenix in one day, week, or month, depending on how one chooses to react to life. My goal is to go to sleep feeling like a Phoenix, even on when only a little spider crawls out of my bed! Can the author please cite the source for this information? You stated it was from a book. I would very much like to read it. Thank you. As a scorpio, I think it is important to continually strive to be better than what I was before. We should strive to grow continually. I learned this from a book I have. When I get a chance, I will find it and comment with the title and author. I've only ever heard of 3 symbols associated with Scorpio - can I ask your source of there being 7 symbols ? This is the only place I've found details of them (other than duplicate postings), everywhere else cites the standard three. Scorpios know what it takes to get to Ascension, and they either fear what their capable of, or take advantage of it. Bronze Oceans: Actually, it is the opposite. We Scorpios consider others a mess, because Scorpios are the only people who can rise back from ashes :D Moreover, most mature Scorpios usually have the Wolf, eagle or phoenix totems, while even the most mature non-Scorpio sign finds it hard to rise to that level. It's a shame Scorpios are such a mess. I almost feel bad for them. So glad you enjoyed the read, Kevin Peter! KenDeanAgudo, I have written a little about Capricorn, and plan to write more. Check out my page. Thanks so much for your comment! Now I am proud to have a daughter who is Scorpio. The information included in the article was entirly new for me. This hub made me learn more about it. A very interesting and useful hub! Thanks for your comment, Tatum! Thank you, Beltane73! I'm glad you enjoyed the read, and I hope your daughter does too! Super interesting! My daughter is a Scorpio and I'm looking forward to showing this to her. Upvoted and interesting! Thanks, natasha! I'm glad you enjoyed the hub! L: We Scorpios are the signs who can never be deciphered. I think it is extremely difficult to classify us into a particular group. I think it is an honest attempt to classify them. I'm sorry you see this article as useless. It is simple, but for a reason. There are so many details to consider when writing about Astrology, and I choose to write simple, easy to read articles instead of a book. Please feel free to read more of my work for additional information. Thank you for your comment. Useless and simple article. I'd like to see people judging one from another from the above criteria. Simple use of the huge topic of scorpionic energies...and astrology in general. Hey tony! Thanks for your input, you serpent you! Rock on, my Scorpion Brother! Before reading this hub, I only knew of two Scorpio symbols: scorpion being the earthbound Scorpio, and the eagle as the redeemed Scorpio. Cancer also has two symbols, crab and crayfish, without either being an opposite extreme, just the cagey self-effacing Cancer. Please understand, I don't believe in astrology for fortune telling. I study it as a science. Personality traits are characterized by the sun sign, moon sign, ascendant or rising sign, and where planets are placed in the sky at the time of your birth. It just helps me to understand people as I find that most of it is accurate (when you delve into all the other factors besides just the sun sign). I kind of see it as a sociology tool. I'm not saying I straight up believe everything about zodiac signs, but I do usually find characteristics about Scorpio describe me pretty well! Thanks for the interesting read. Spider, Scorpion, Lizard, Serpent and Wolf. Got me in 5! Read this to Mrs P. She loved the "not evolved" bit. 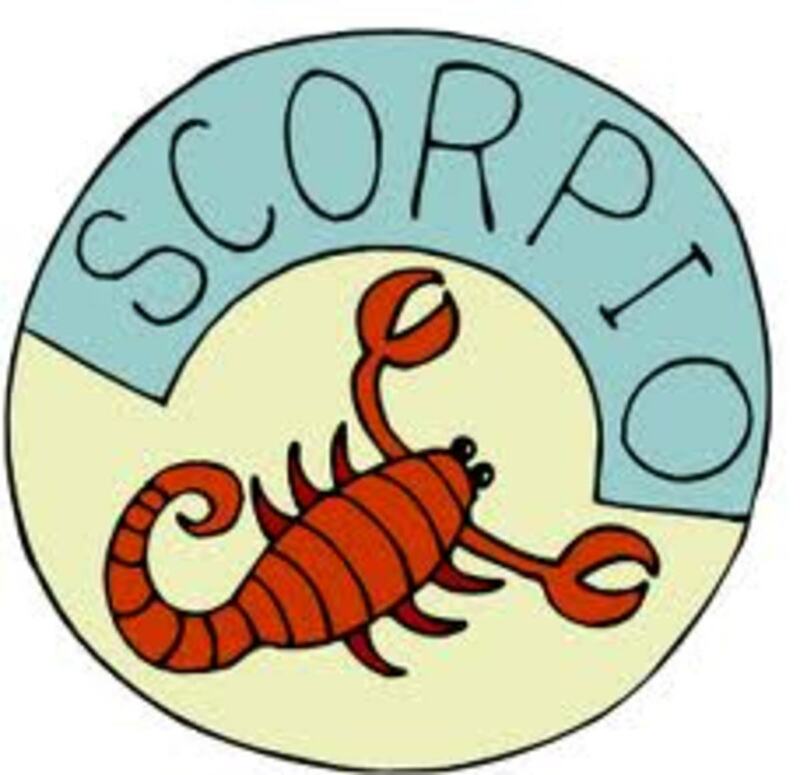 I am a Scoprio, born of a Scorpio Father and a Scorpio mother. Well I would be happy to tell you more about Scorps, 23676. Especially since I am one. Thanks for your comment and please feel free to email me any questions. this is very interesting i would love to learn more about scorpios. I'm glad you enjoyed the read. Thank you for commenting.